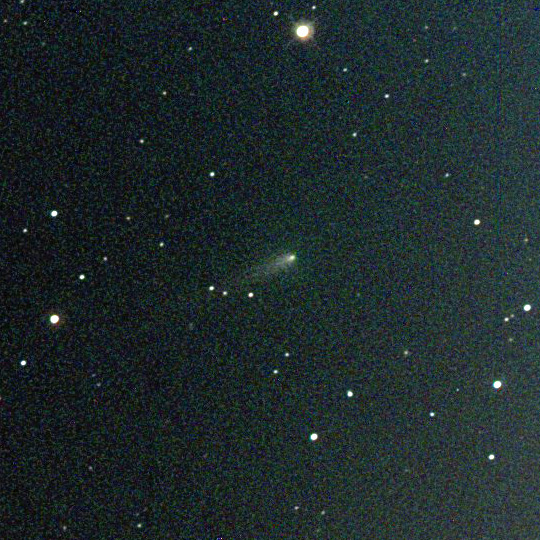 The early morning moon has been hampering ISON imaging the last few days and this morning we had a little competition from our friend Mars. 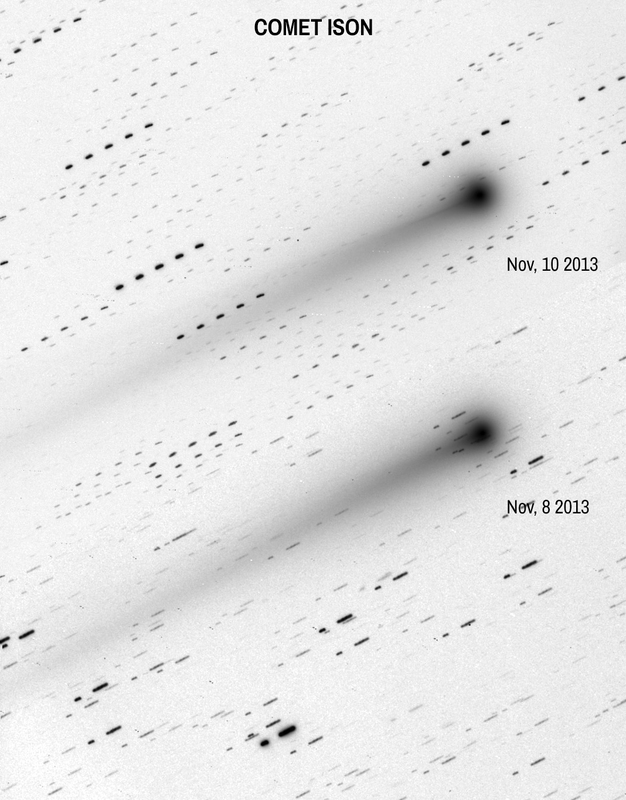 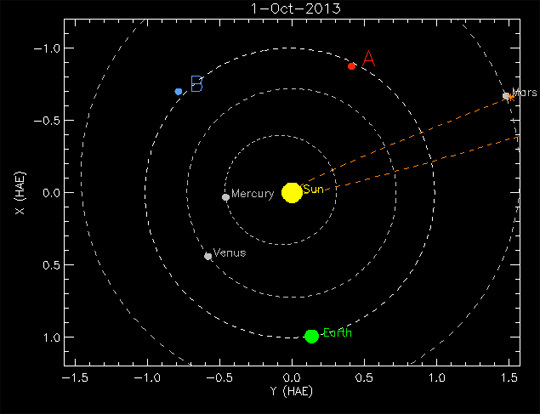 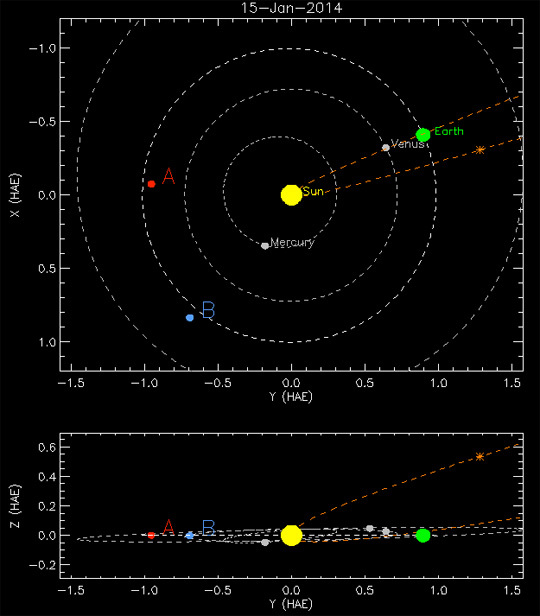 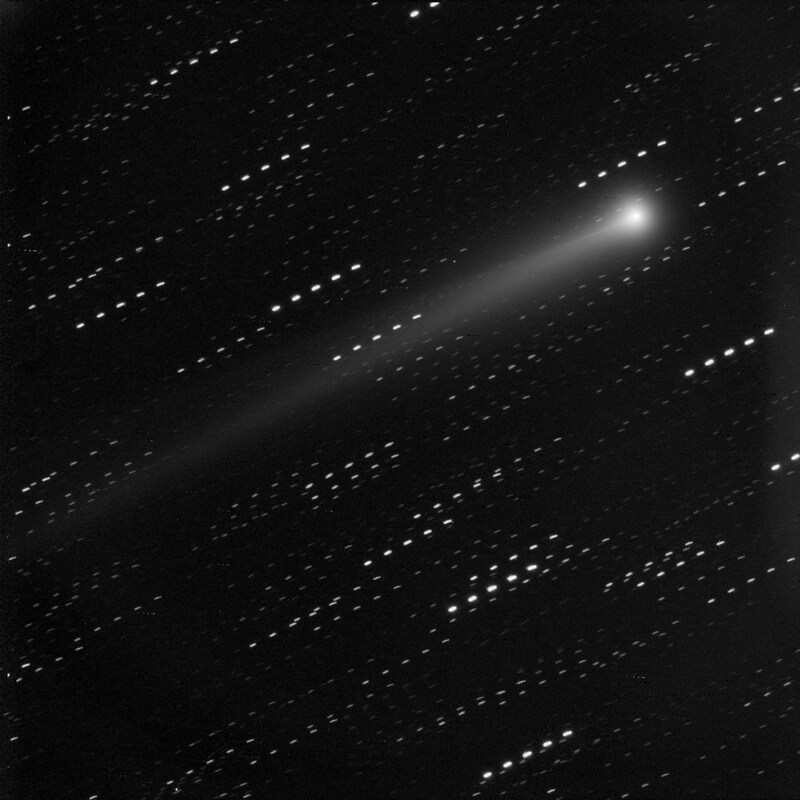 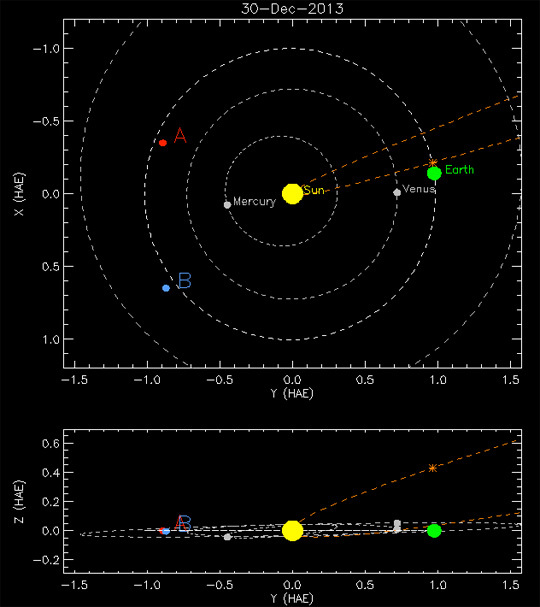 Here’s an animation of 9 frames of Comet ISON passing just two degrees from the Mars. 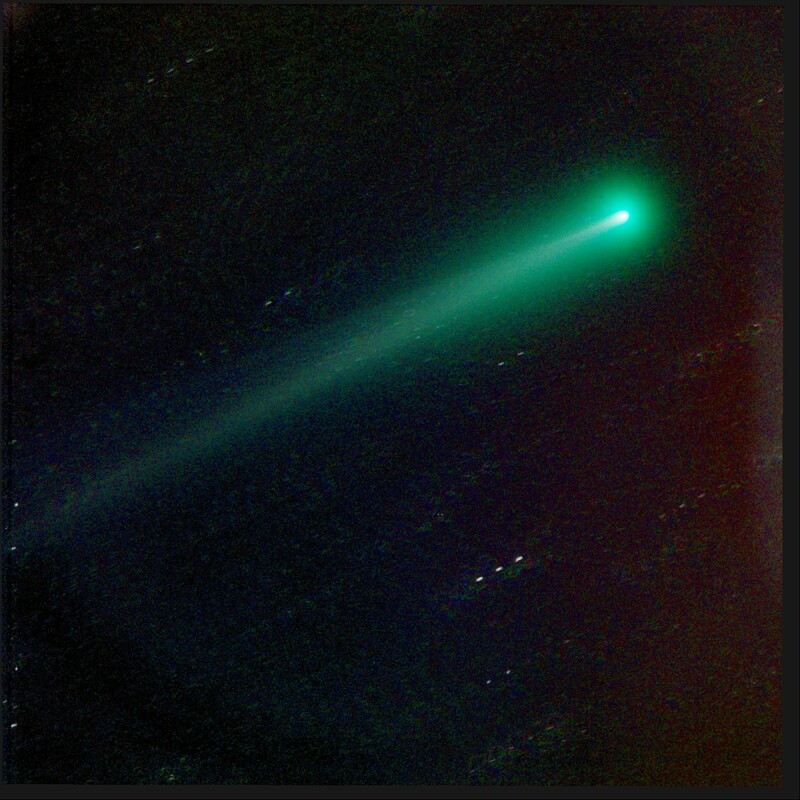 The light streaks in the picture are Martian light. 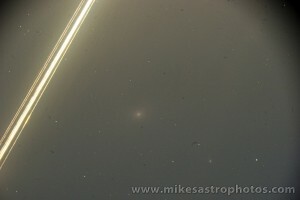 Here’s a color RGBL image from the same morning. 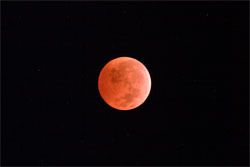 Between the Moon and Mars its a pretty grainy picture, but I kinda of like the planetary glow in the shot. 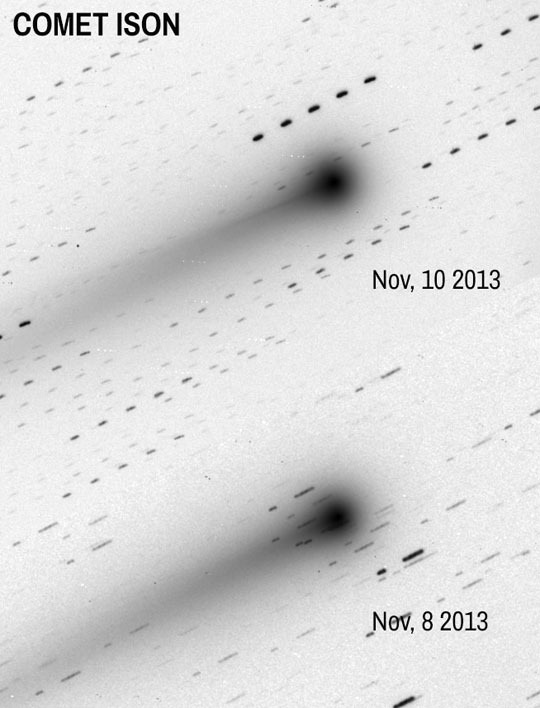 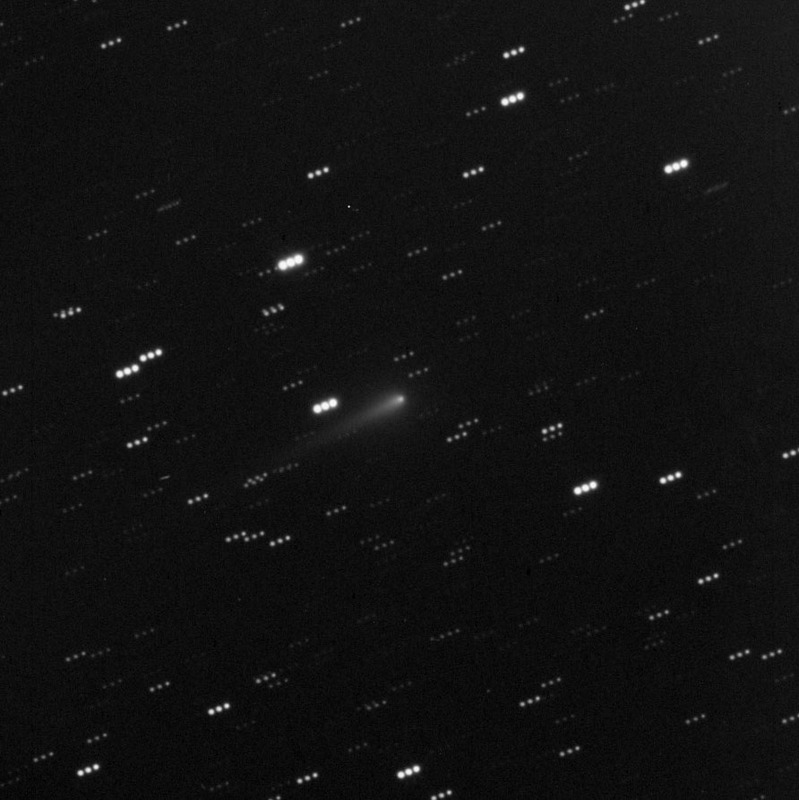 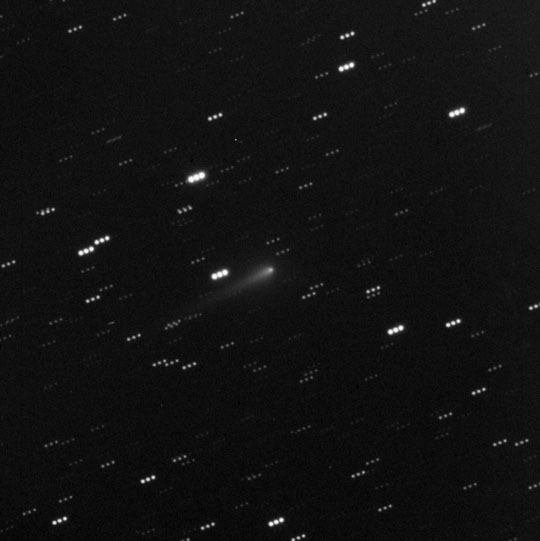 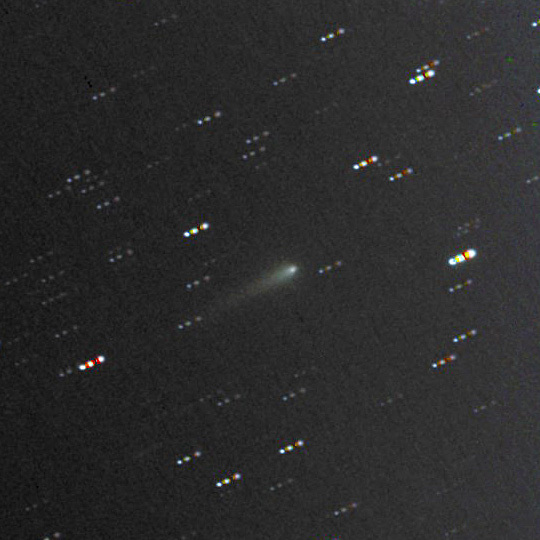 Here’s a photo of Comet ISON from October 5th, 2013. 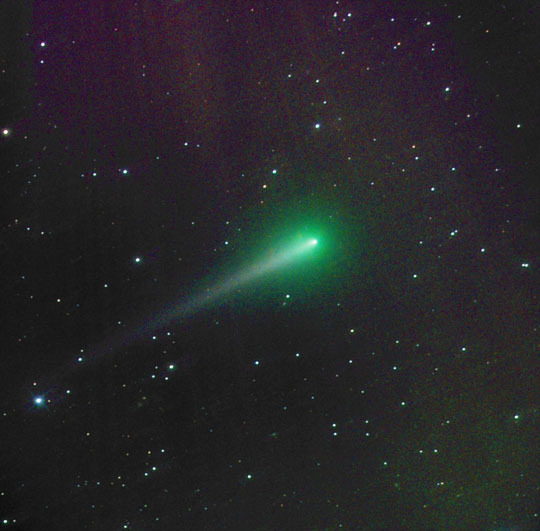 Some new studies have been published this week that seem to be improving the chances of ISON’s survival around the Sun on Thanksgiving day. 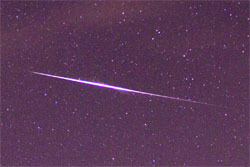 If that happens we should have quite a light show leading up to the new year. 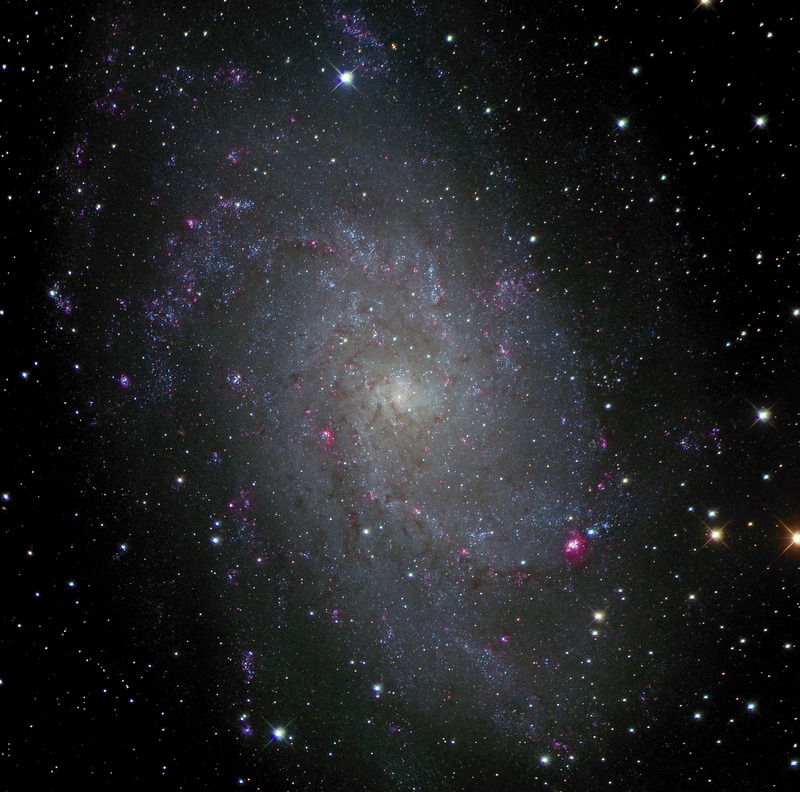 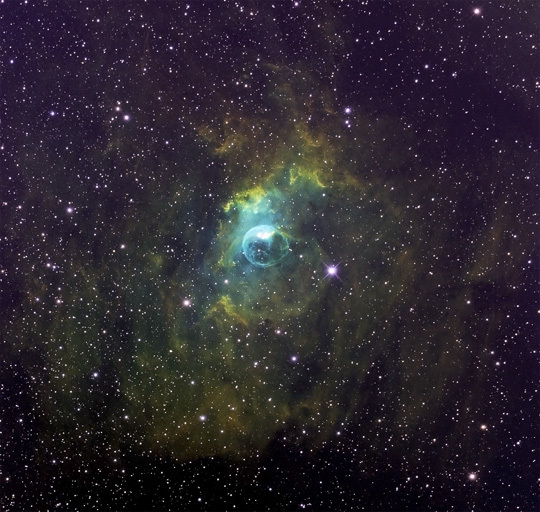 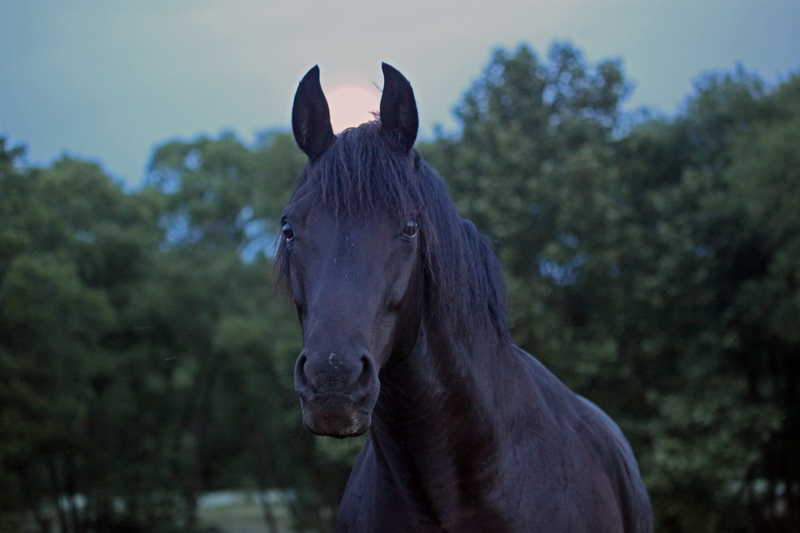 This photo was constructed using 30 minutes of Luminance and 2 minutes each of Red Green and Blue. 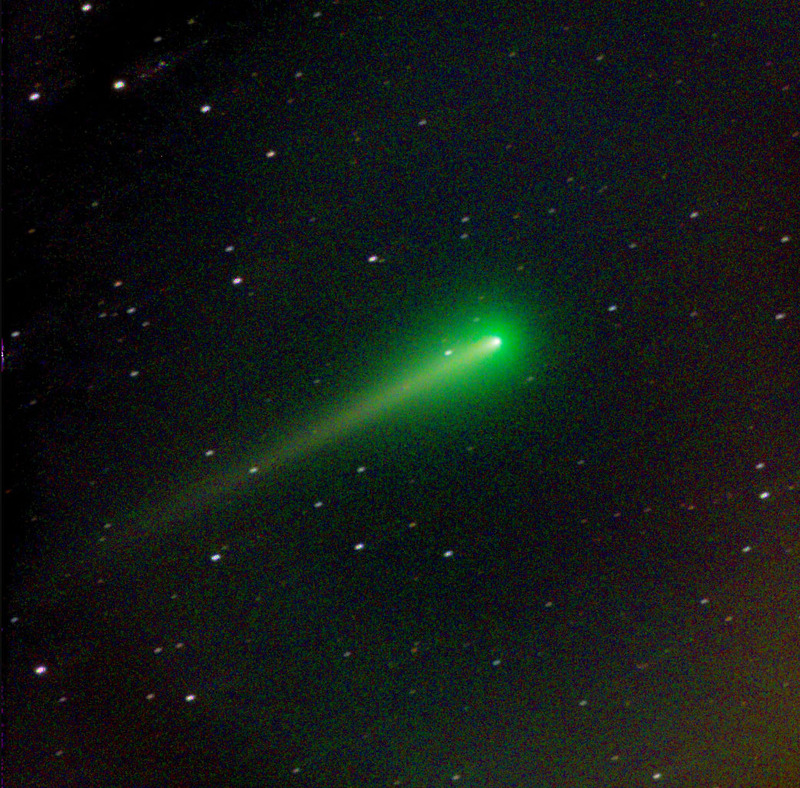 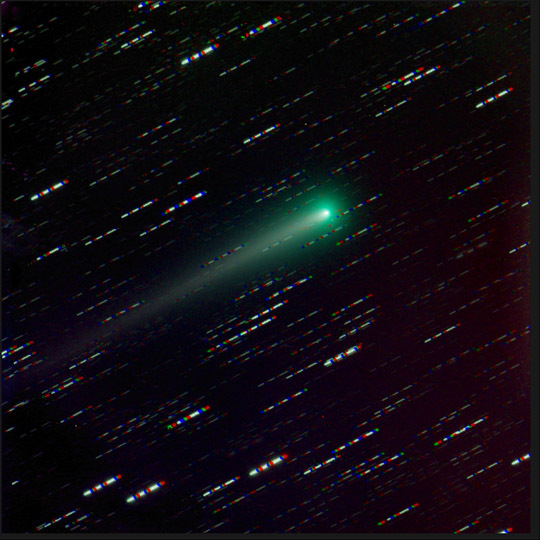 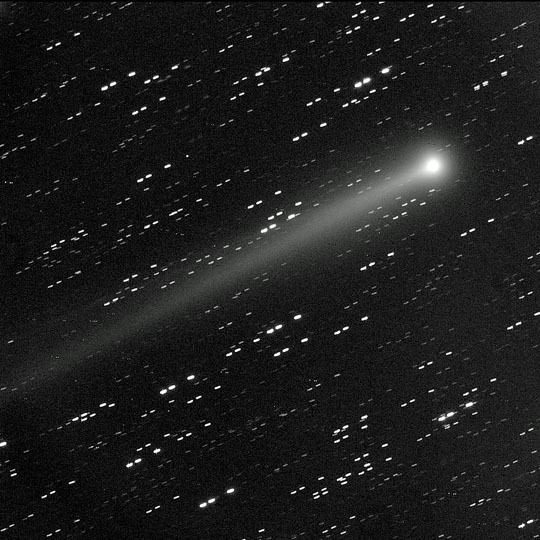 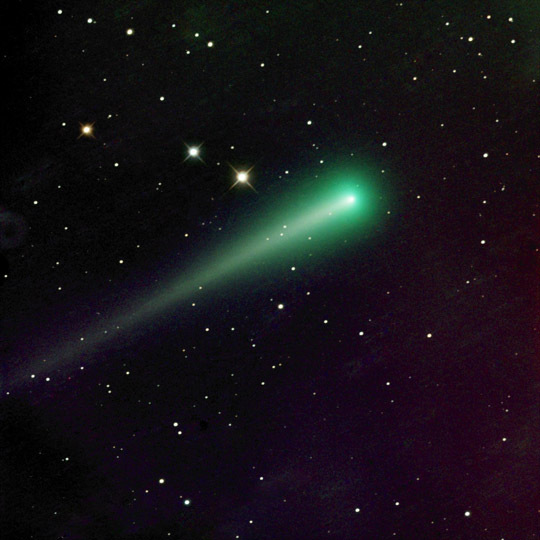 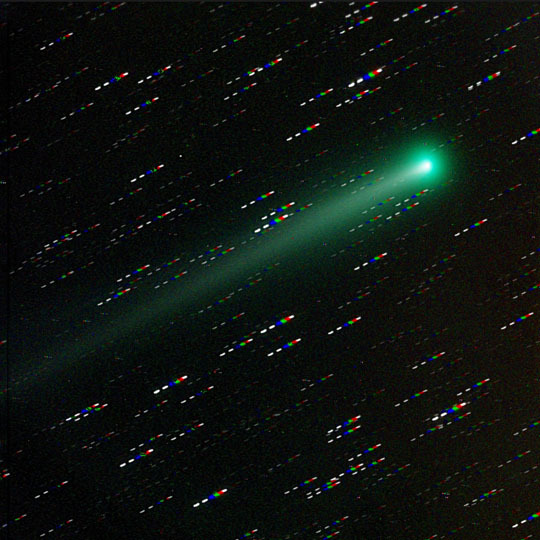 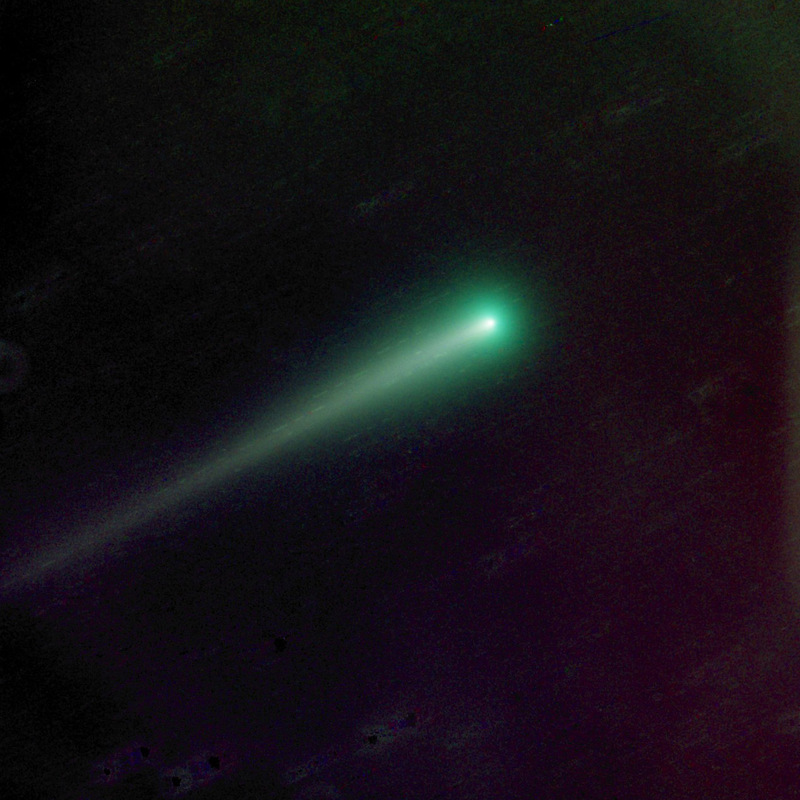 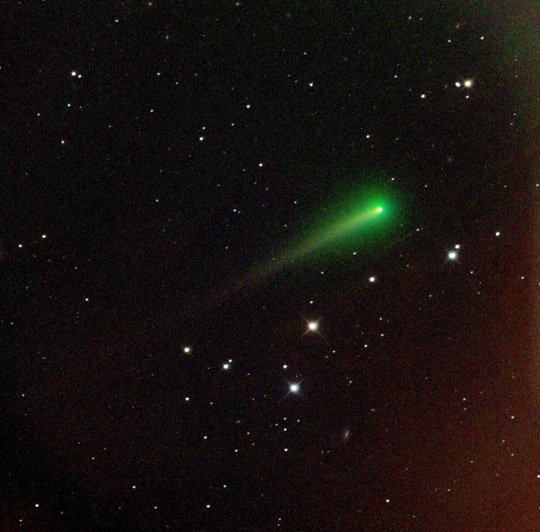 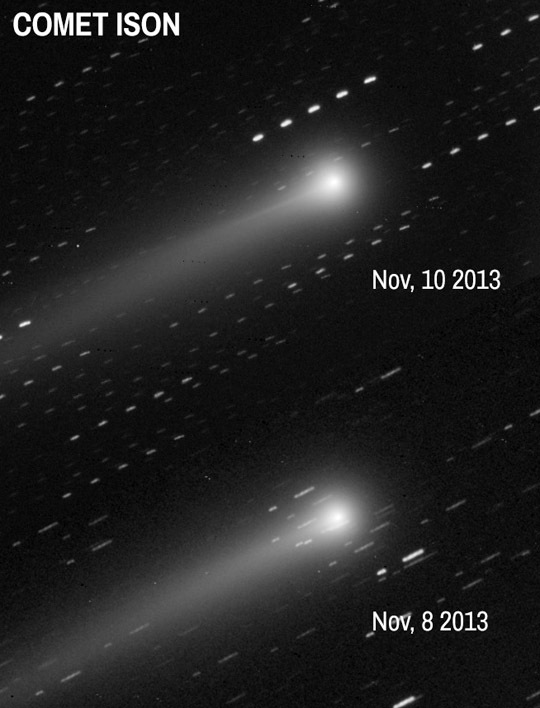 For more info about comet ISON’s survival rates check out this article from Sky and Telescope. 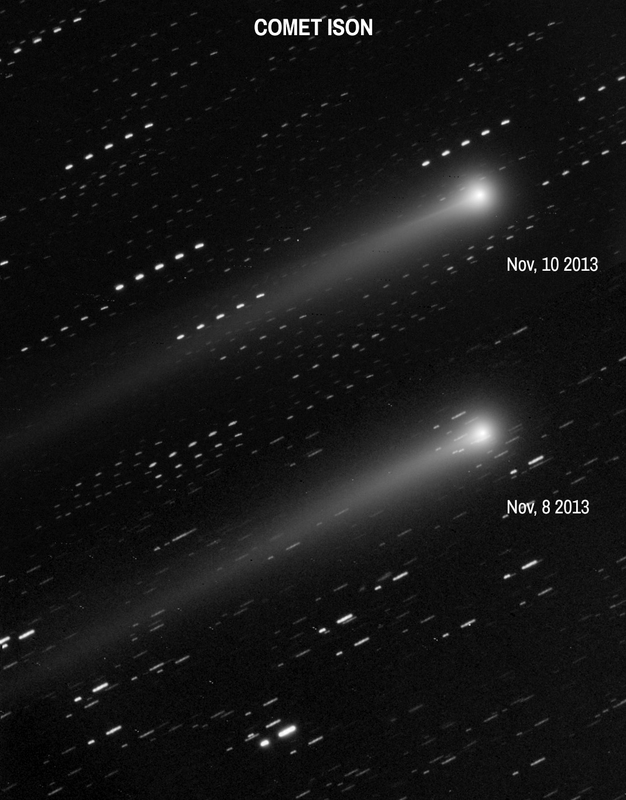 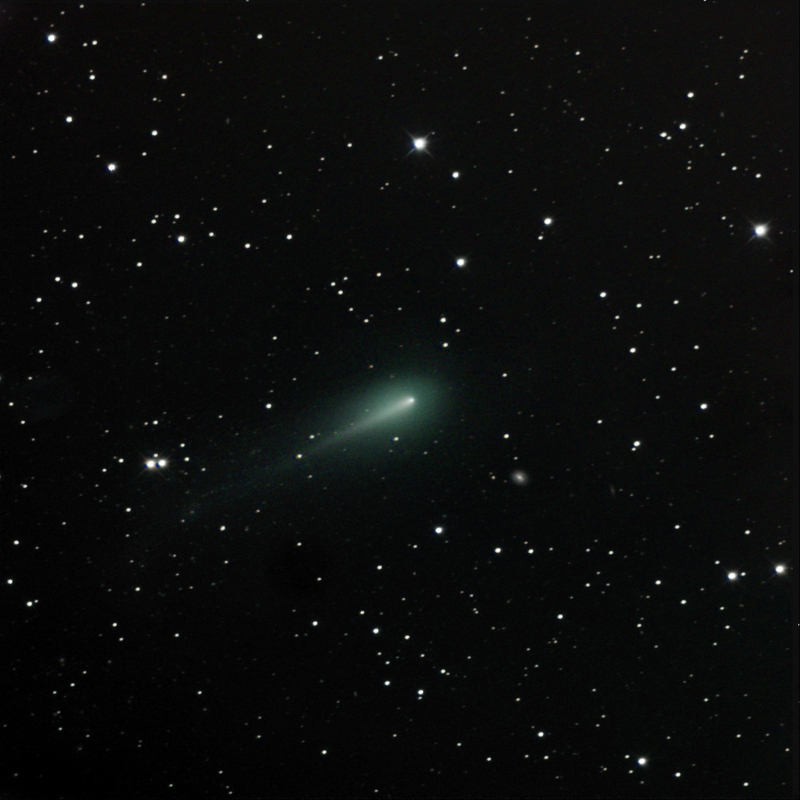 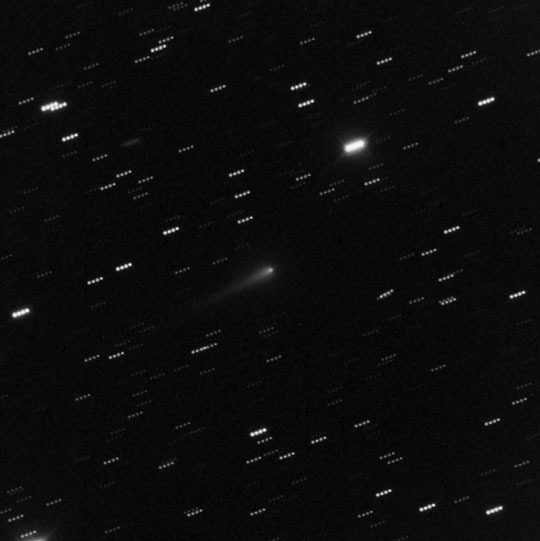 Here are two photos of Comet ISON from September 24th and 26th. 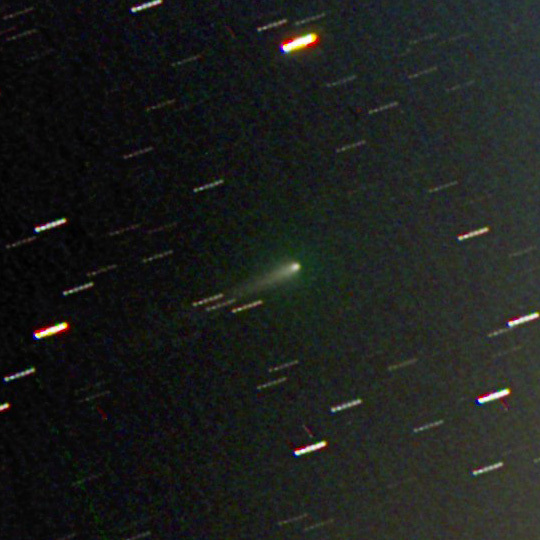 Here is comet from two days before. 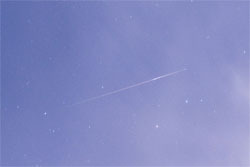 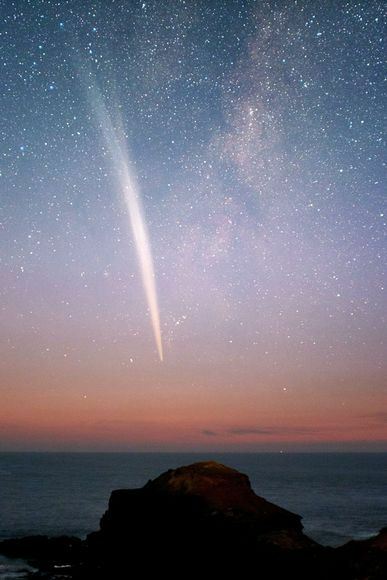 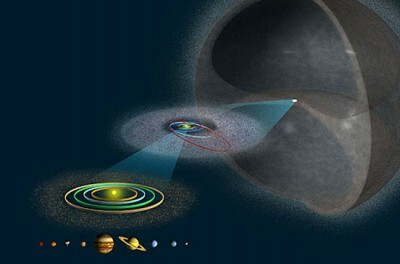 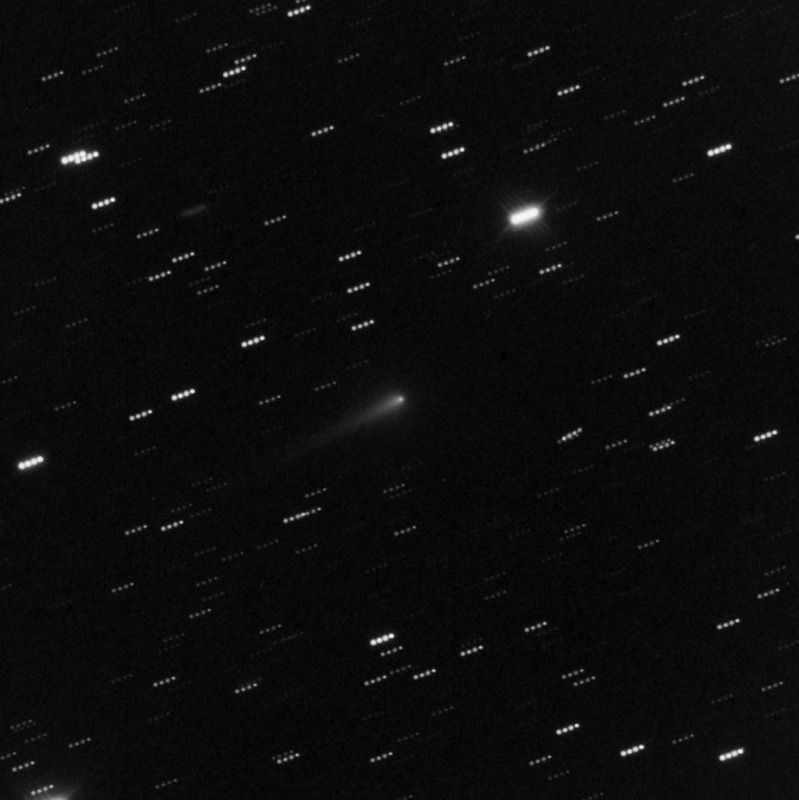 The tail and comet appear brighter after just two days, but its possible this could just be differences in the seeing conditions between the two days. 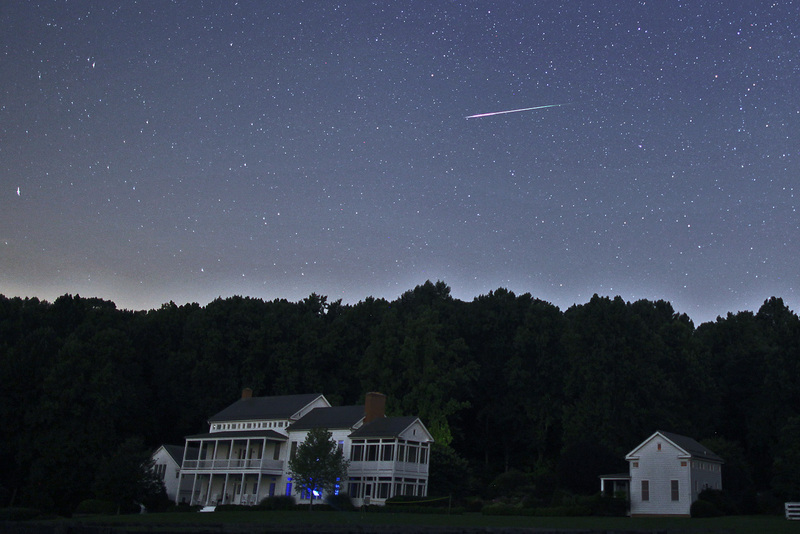 The Perseids were mostly cloudy here in Maryland, but I was fortunate enough to catch this one meteor during a window of clear skies early monday morning. 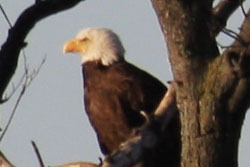 That’s me on the front porch observing from the rocking chair. 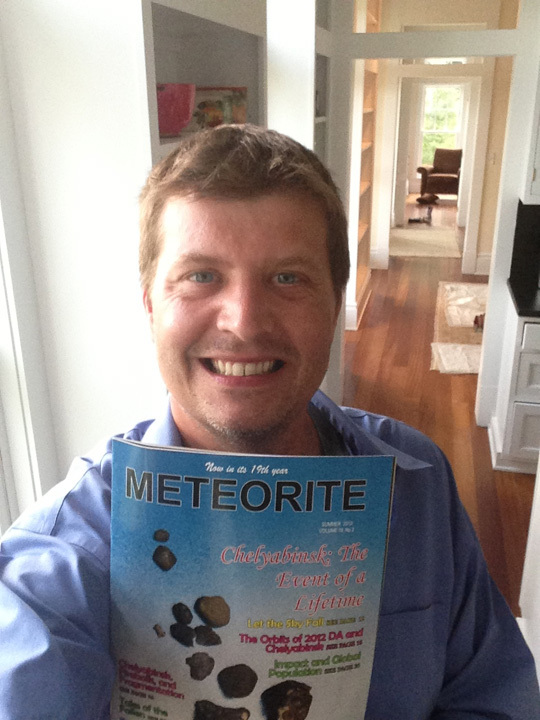 I got the latest issue of meteorite magazine in the mail today. 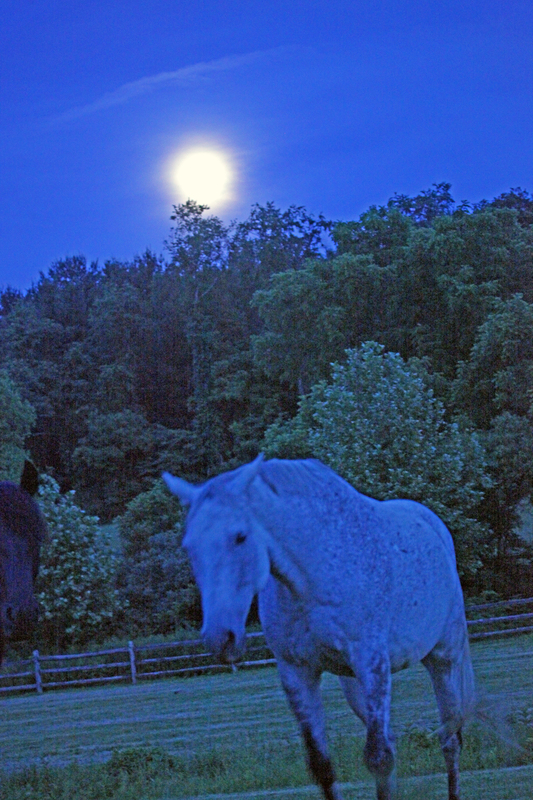 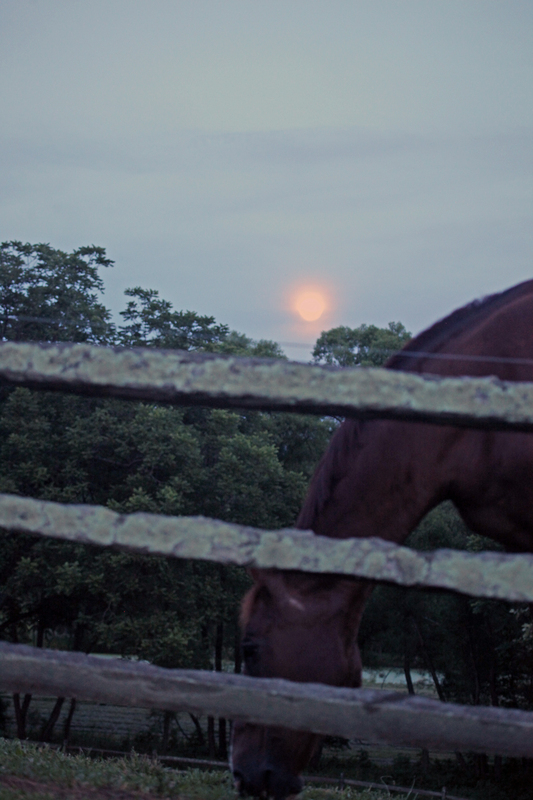 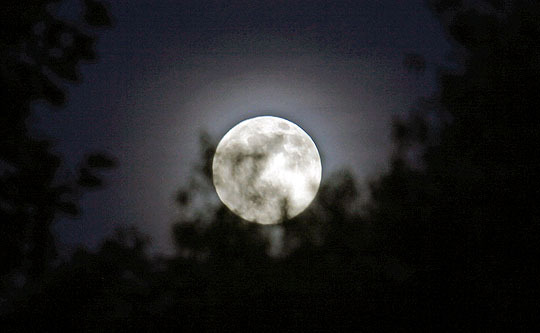 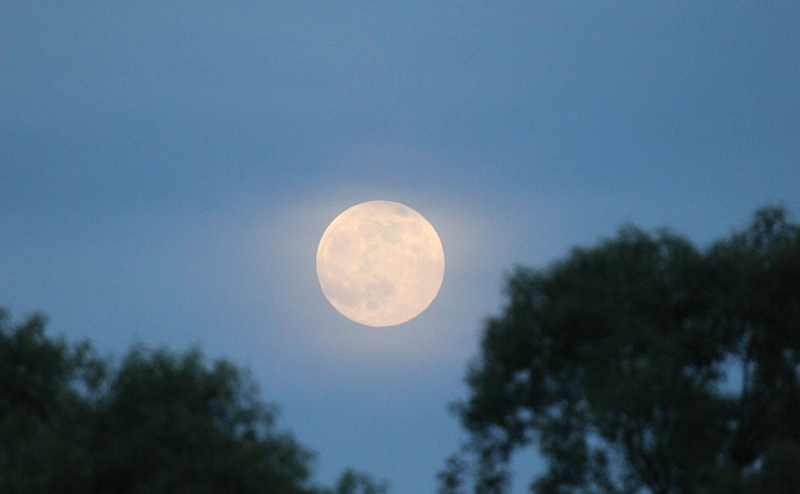 Here are some photos of last nights super moon. 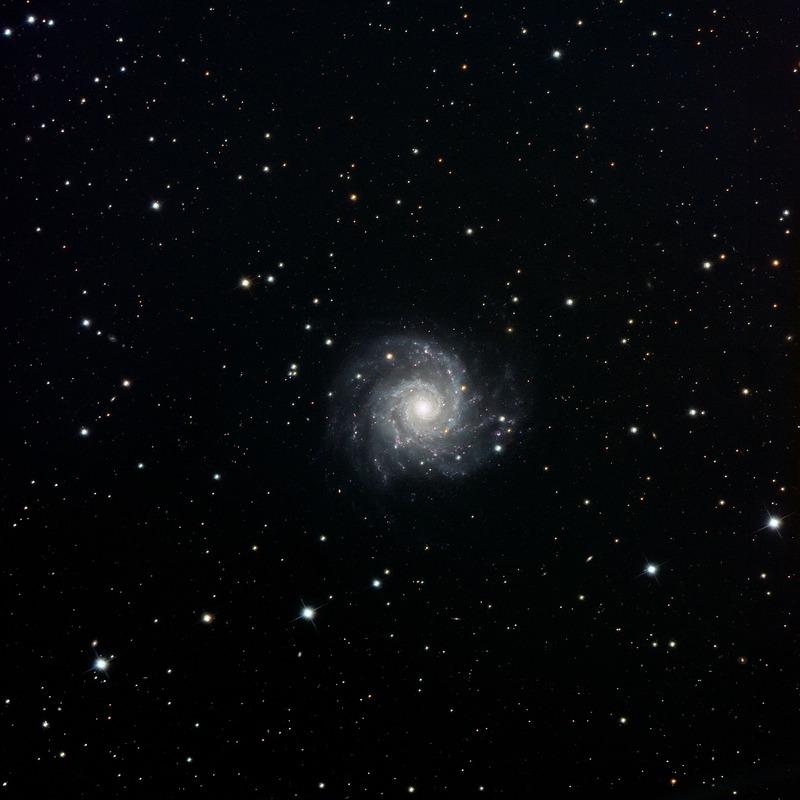 This is the first time I’ve tried getting animals inside celestial shots, its was challenging and fun.